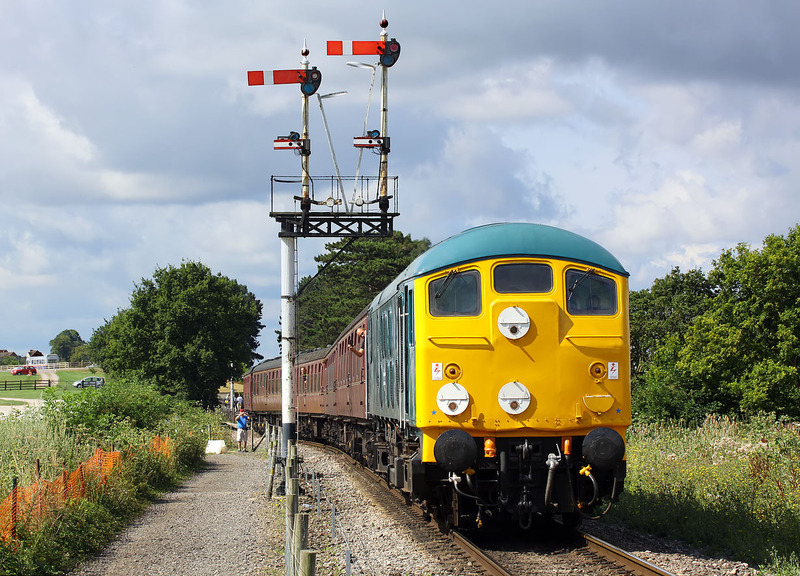 5081 pulls out of Cheltenham Racecourse station on 27 July 2014 with the 2L62 10:50 train to Laverton, during the Gloucestershire Warwickshire Railway's Diesel Gala. This was a very lucky shot, as the sun was in as the loco left the station, and the picture would have been hopeless. However, it cleared just as it passed under the signal, although it was still cloudy just behind me!